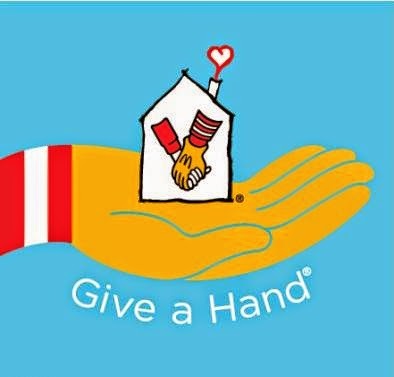 Give A Hand is a McDonald's tradition where customers are able to donate directly to Ronald McDonald House Charities (RMHC) by purchasing paper hands for $1, $3 or $5. Customers can display their Hand in the restaurant to show their support for RMHC. Last year, customers donated more than $5 million to Ronald McDonald House chapters all over the world - help us exceed that total this year! Visit a participating Atlanta area McDonald's restaurant throughout the month of May to purchase your Hand to benefit Atlanta's two Ronald McDonald Houses! *Interesting Fact of April: Volunteers at Atlanta’s two Ronald McDonald Houses are helping families feel more at home in fun and creative ways. From yoga classes to help parents de-stress to tennis lessons to help kids stay active, ARMHC volunteers help fill our Houses with love and support.